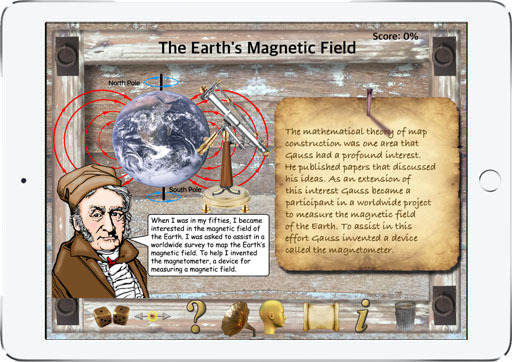 Check out our new Augmented Reality Apps! 1. 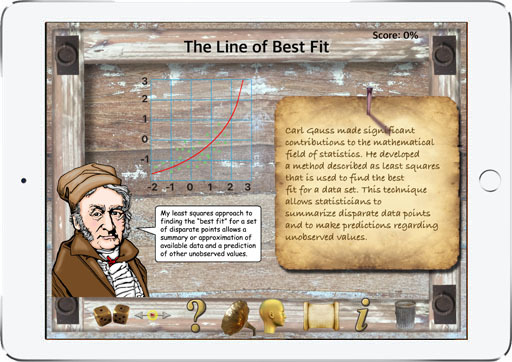 Tap buttons to learn about Carl Gauss' amazing life and key concepts related to his work. 2. interesting facts are presented using colorful charts. 3. Tap the quiz or game buttons to practice what you've learned. 4. 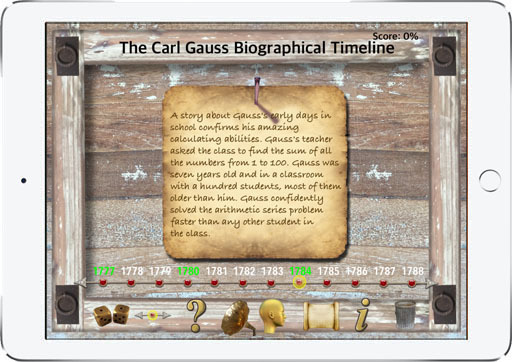 Read about why Carl Gauss is remembered today for his contributions in math and science. 5. Sound effects make the interaction even more fun. 6. Available for iPad and Apple TV devices. 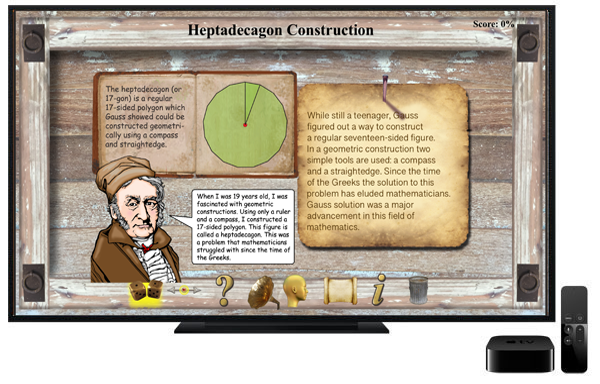 Bring the excitement of exploring math, physics and astronomy to your classroom or living room with the Apple TV version of the Carl Gauss - Physicist • Mathematician • Astronomer. Now Available on the Apple App Store.